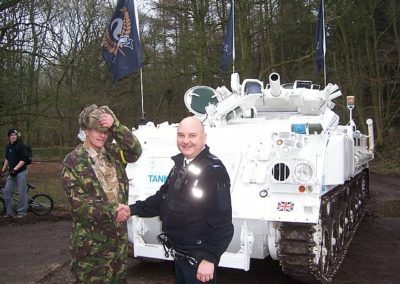 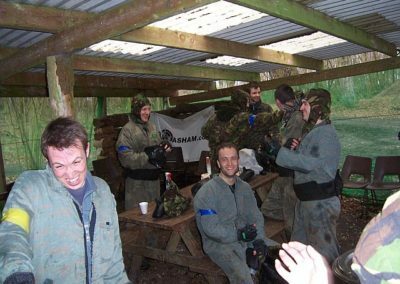 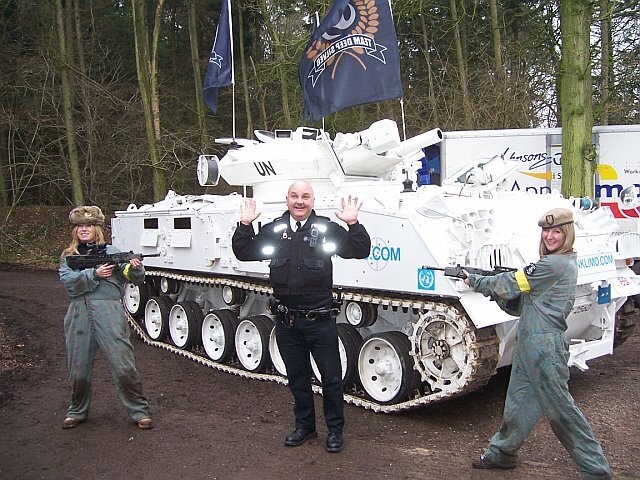 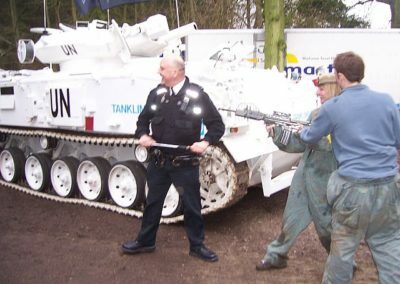 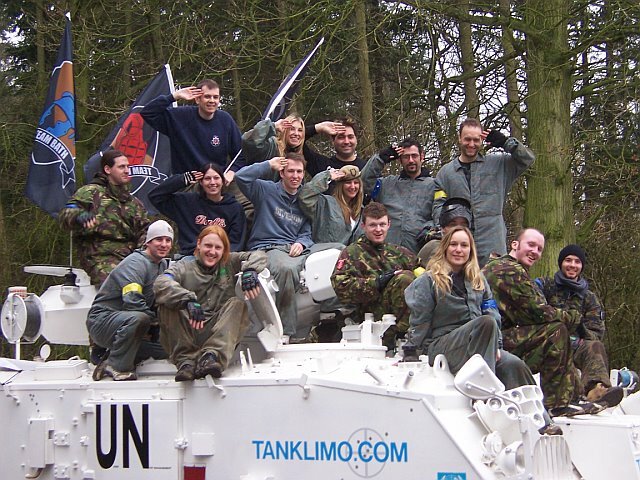 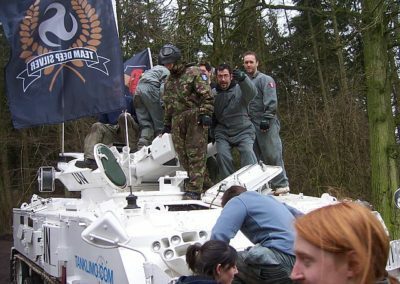 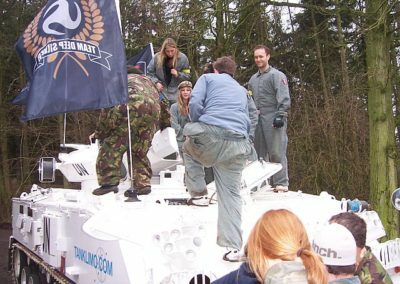 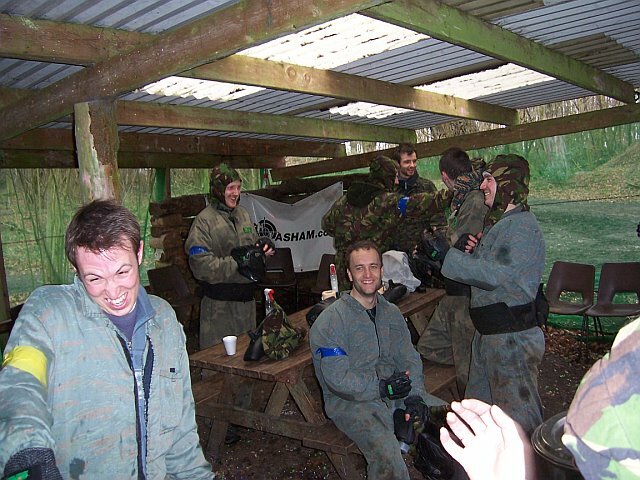 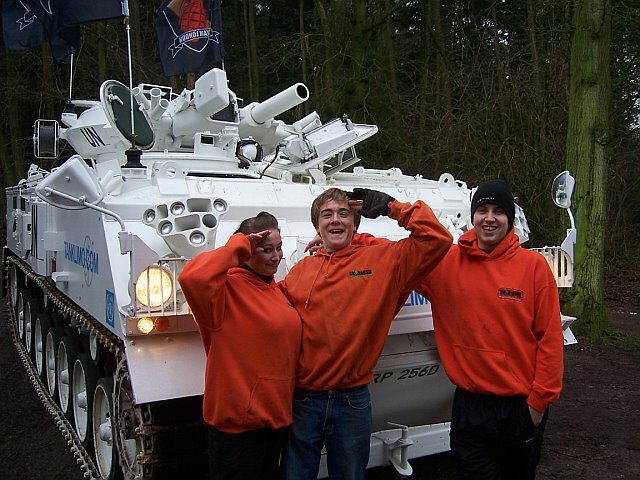 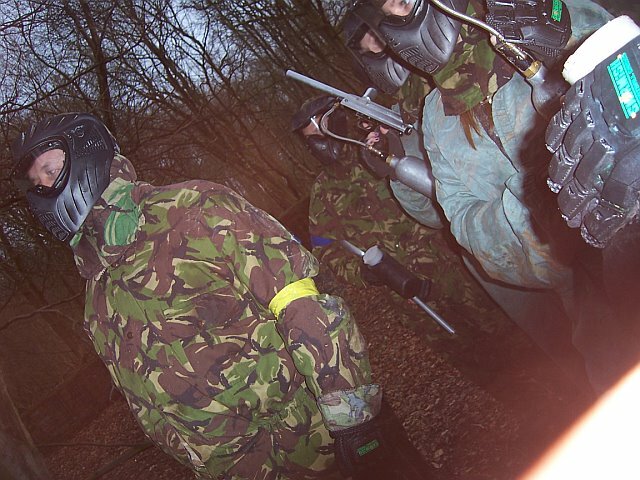 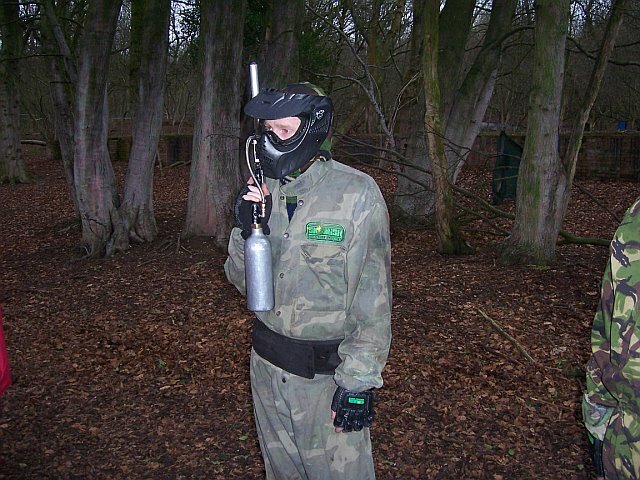 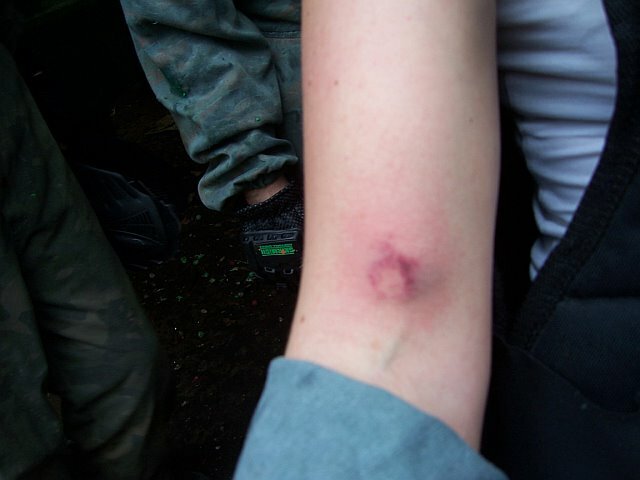 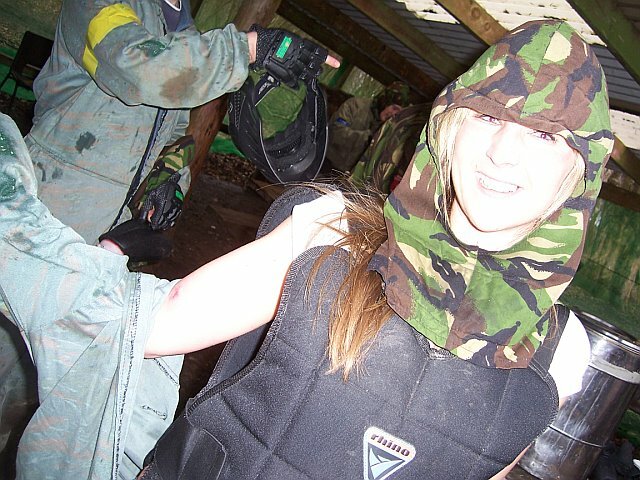 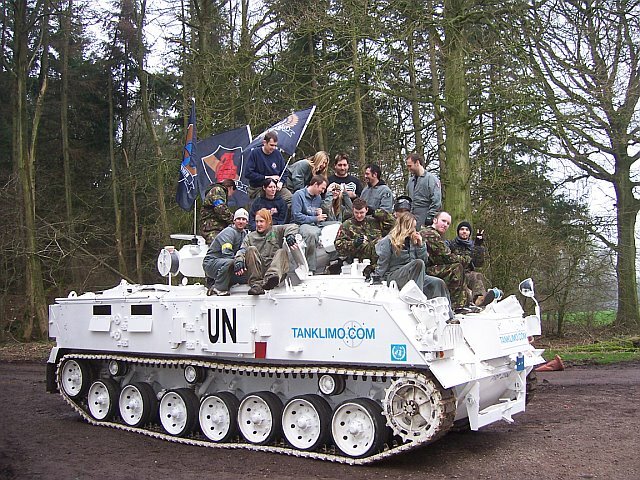 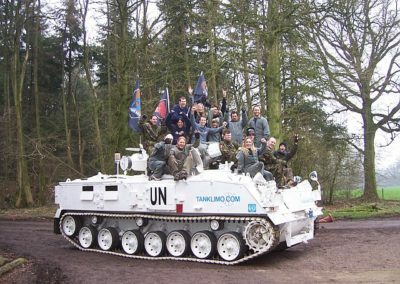 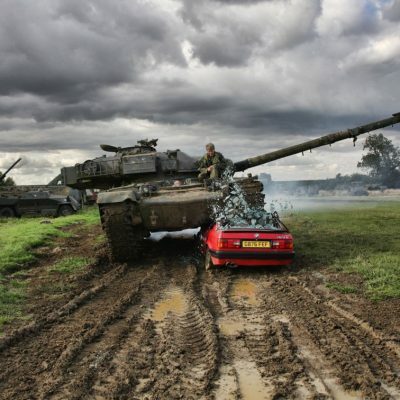 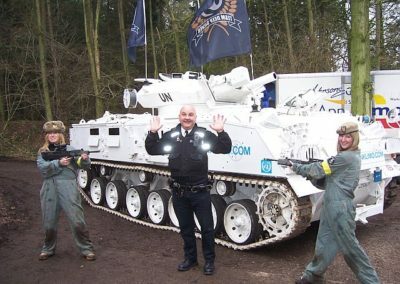 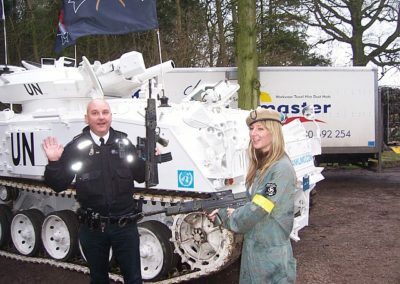 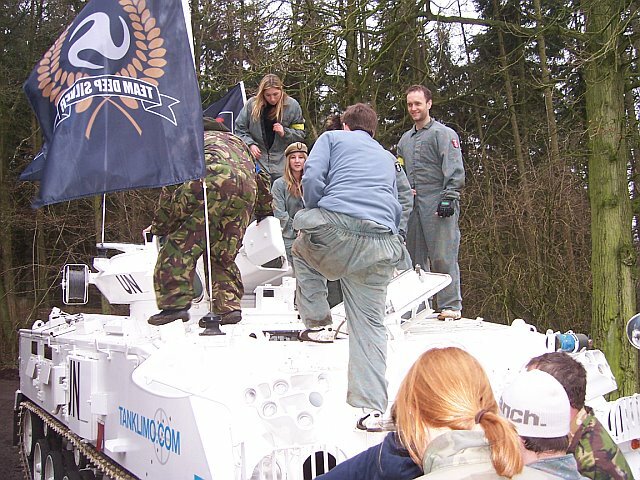 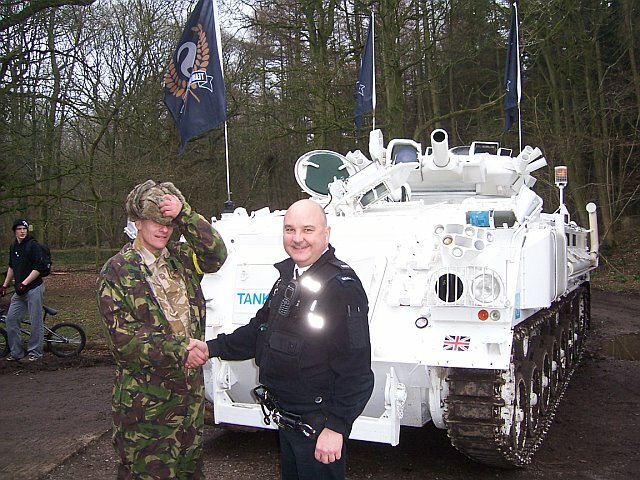 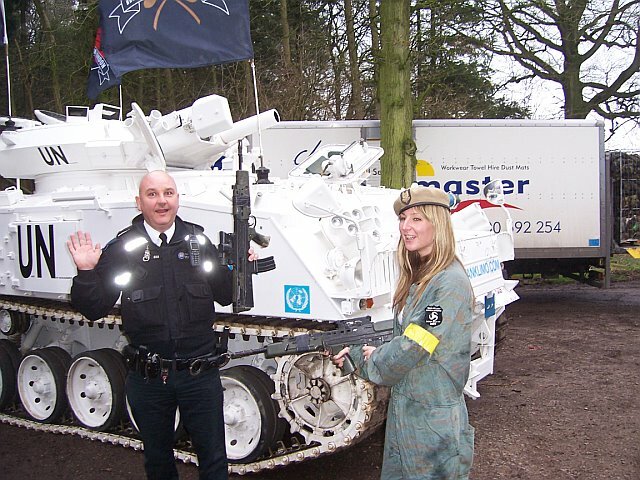 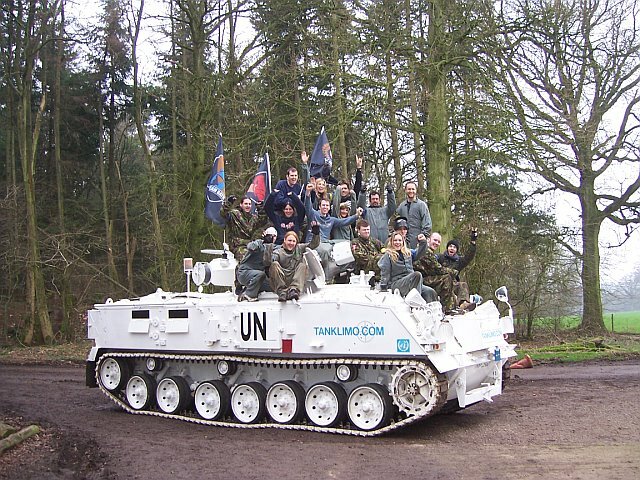 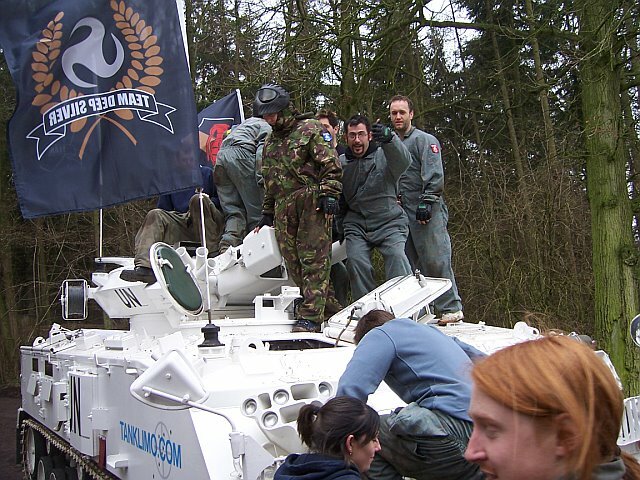 We had an enquiry from Koch media about hiring the Tanklimo to take a group of journalists to a paintball day in Basingstoke. 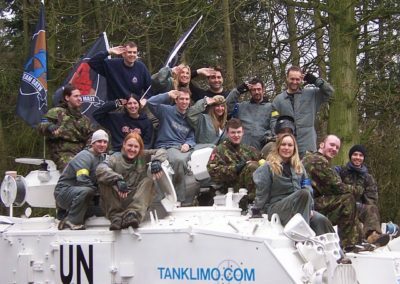 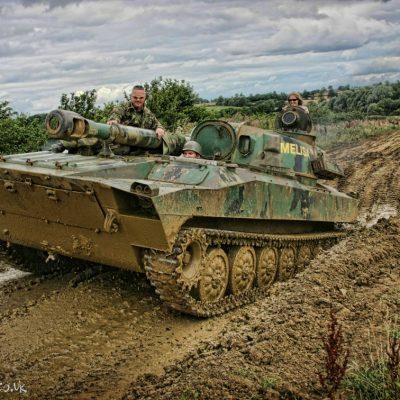 Were always up for a bit of Tanklimoing, our contact was Rachel, told us exactly what was needed ECT, which was great we don’t like last minute surprises when were out in the stretch. 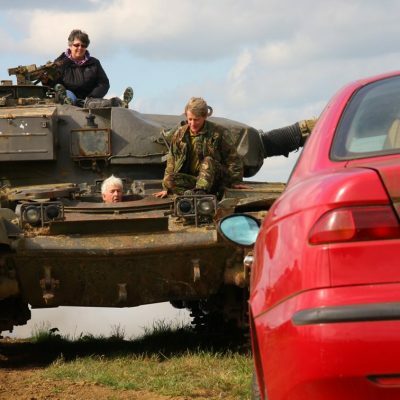 She’s surprisingly manoeuvrable but does have her limits. 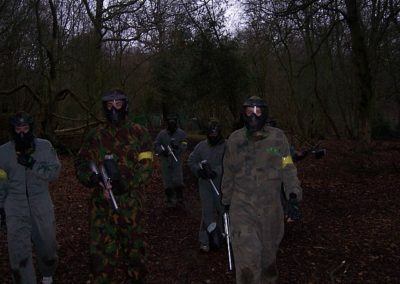 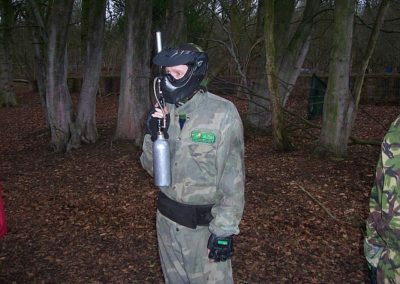 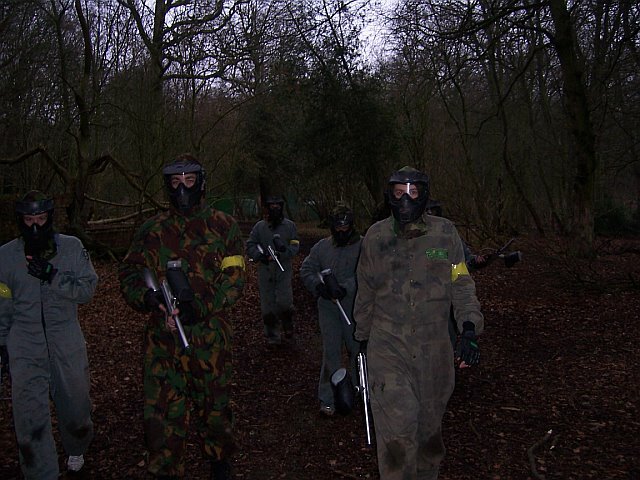 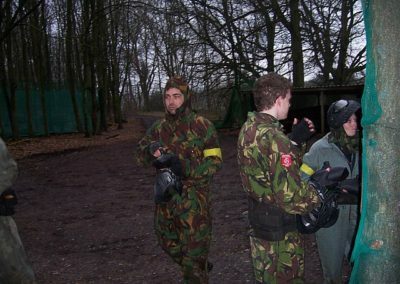 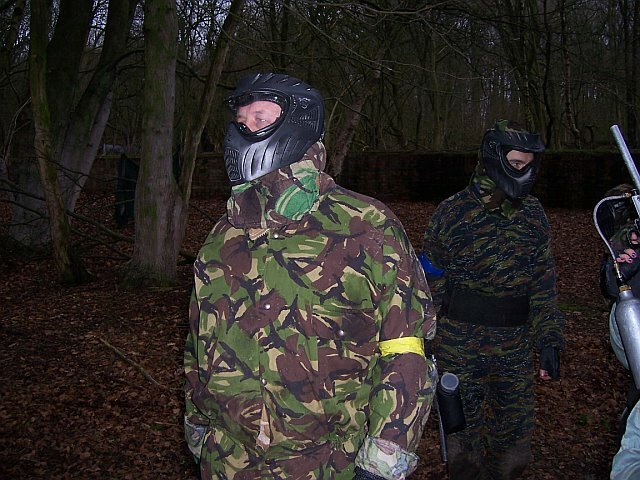 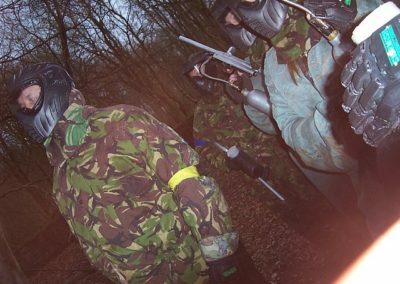 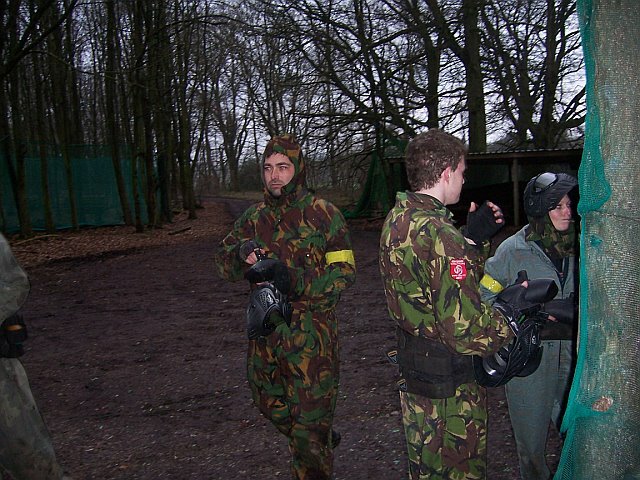 We picked up the journalists and tracked of to a crew called Skirmish Lasham, who does paintball events, a rare bunch who dress in orange so they stand out and you can shoot at them if you get trigger happy. 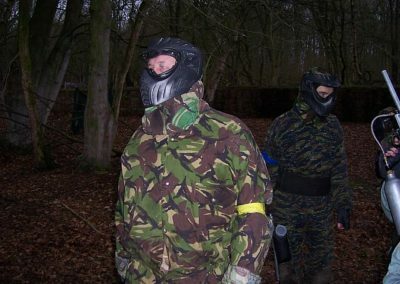 SAS Colin was in his element when they asked if we wanted to join in, I took his killing knife off him in case he slipped in to old habits Then did my (Now Colin look in to my eyes, look in to my eyes, its just a game, when i click my fingers you will become a pussycat and remember nothing) It almost worked but i don’t remember saying shoot my arse at close range three times. 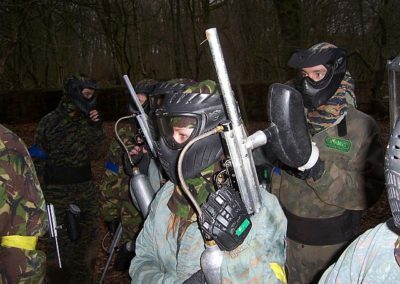 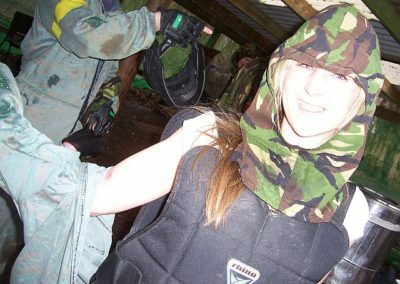 It was all great fun .Then the police caught me as normal , Rachel and her friend grabbed a couple of machine guns and took him prisoner, not sure what they had planned for him and nor had he, but he was to smart and could tell the weapons were de activated and chased them off with his riot baton. 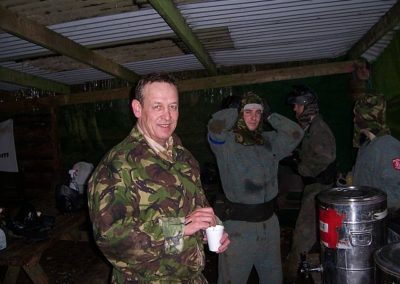 After the battle’s we tracked of down the local pub and then back to Koch headquarters. 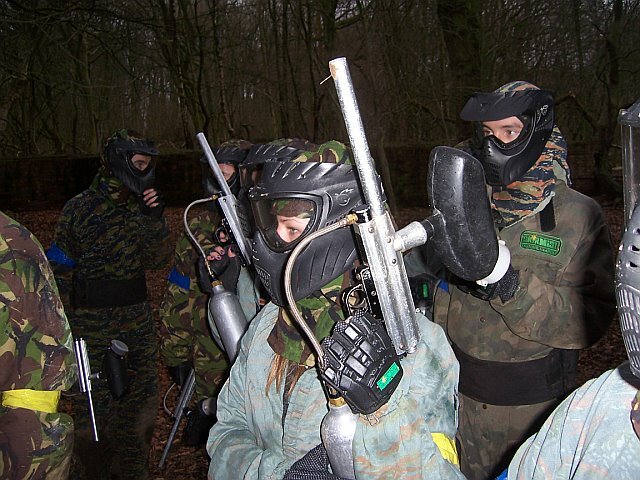 Many thanks Koch, Racheal and Skirmish Lasham for getting us away from the spanners for a day Rachel hope your bruise gets better, promise it wasn’t me.